When you and a few of your best pals decide to take on several thousand of an evil invading empire’s elite soldiers, it’s just not enough to have a patriotic heart and abs you can grate cheese on. You’ve got to have the tools of the trade too. Spartans carried 30 pound bronze shields, spears they could throw with pinpoint accuracy, and razor sharp swords for mincing up bad guys at close range. 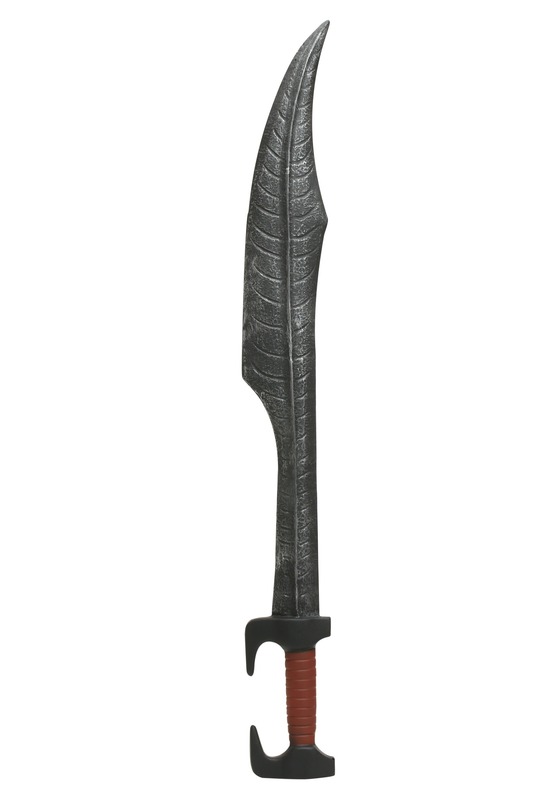 Our 300 Spartan King Leonidas Sword is a faithful replica of the awesome blade that the great warrior king swung around in Zack Snyder’s and Frank Miller’s hit movie 300. When you’re brandishing this bad boy you’ll have every excuse you need to yell “SPARTA!” at the top of your lungs no matter where you are, be it out at the bar, while purging the streets from evil, or right outside of your roommate's’ bedroom door when you finally get home at four in the morning. We can attest to that from personal experience.